For several years, we have been pleased to provide you with you complimentary email service branded as an emcity.net or dcdi.net address. This email service was in fact hosted in the background by Google, under a reseller agreement. Due to a decision by Google to no longer offer wholesale email services to ISPs, Direct Communications will no longer be able to offer Directcom-branded google email to our customers. Please note: this change will not affect your Internet connection or ability to use any regular Google products. Also note, this change only applies to hosted email services and not to PPPoE usernames–those will remain the same. All @dcdi.net and @emcity.net email accounts will be shut down at the end of June 2015. You already know how to use Google Mail (Gmail), although it was rebranded by Direct Communications. Our recommendation is that you continue to use Gmail, and simply sign up for a new Gmail account directly with Google at https://mail.google.com. The interface will look exactly the same, except your chosen email address will now be @gmail.com. How do I keep my old emails? 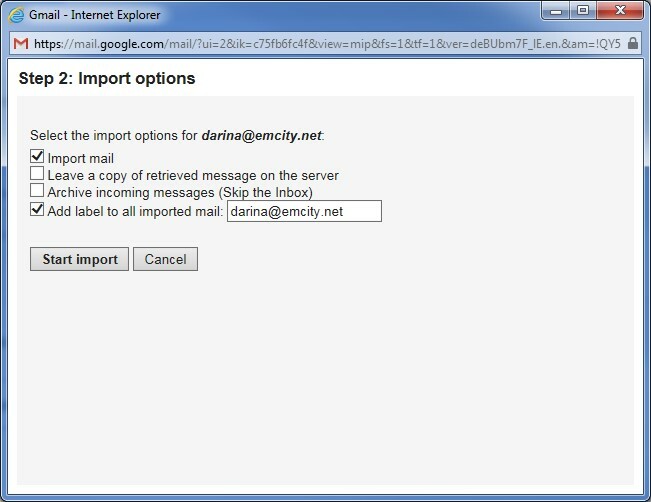 You should import all mail from your @emcity.net or @dcdi.net account into a new Gmail account before the end of June 2015. This is a fairly quick and simple process, since both accounts are hosted by Google. Go to https://support.google.com/mail/answer/21289?rd=1 or see below for instructions on how to migrate your emails between accounts click here. You could also simply export and archive all your emails to a computer file with a mail client like Outlook. Check your email client help menu for instructions on how to export or archive your emails. We sincerely apologize for the inconvenience of having to change email addresses, but once the change is made to Gmail, you will have the advantage of being able to keep your same email address, no matter where life takes you. Thanks for supporting your local broadband company. Call us now at 801 789 2800 if you have any questions or concerns about this change, or visit directcom.com/eaglemtn. Click the icon to start. 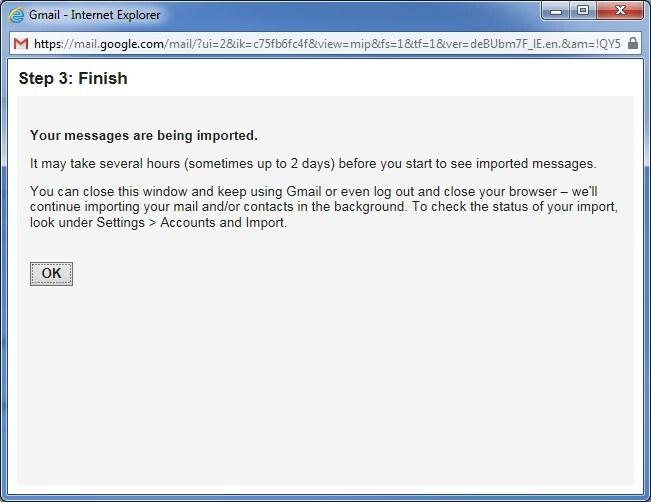 Tip: You can bring your contacts to Gmail too, learn how to import contacts. Leave a copy of retrieved messages on the server – Check the box. Otherwise the emails in your other account will be deleted and you’ll only be able to access them in Gmail. Learn more. Always use a secure connection (SSL) when retrieving mail – Keep checked. For some accounts, you may need to uncheck this option. Learn more. Archive incoming messages – Don’t check. Only check if you don’t want to see new messages from the other account in your inbox. If you’re having trouble, visit our Problems with Mail Fetcher troubleshooter. 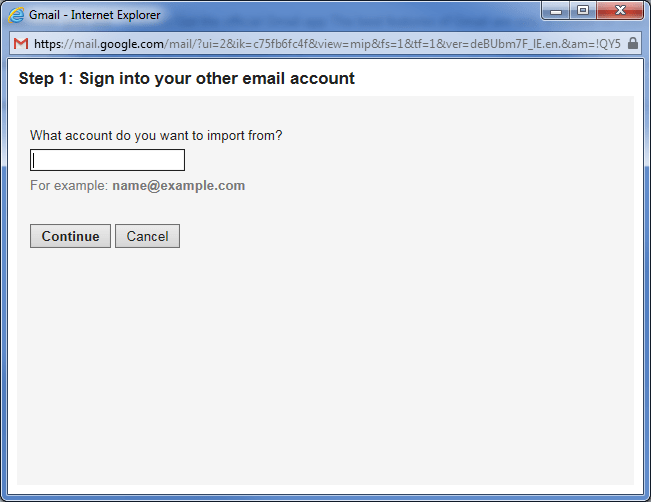 Open the Gmail account that you’ve been importing mail to. 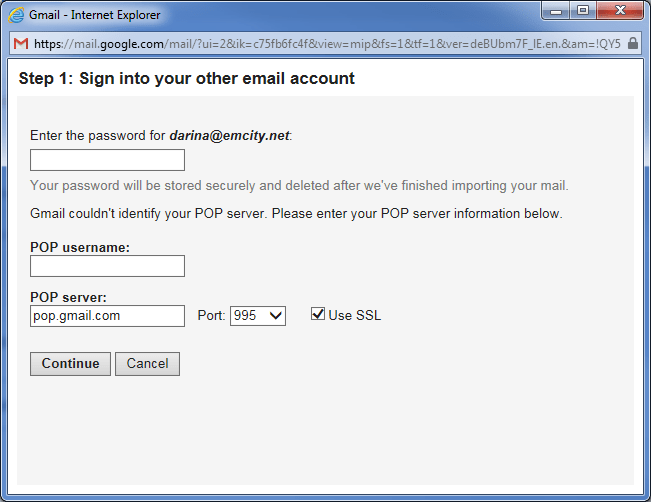 Find the Check mail from other accounts (using POP3) section. Click delete next to the account you want to stop getting emails from. Still receiving new emails? A few messages may still come in after turning off Mail Fetcher. But if you’re still getting new messages after a few hours, your other account might be forwarding your emails instead. Check your other account to see if automatic forwarding is set up and follow the other email provider’s instructions on how to turn it off.